He has packed His bags and is ready to leave. The streets are filled with devotees gyrating to songs of celebration and music. 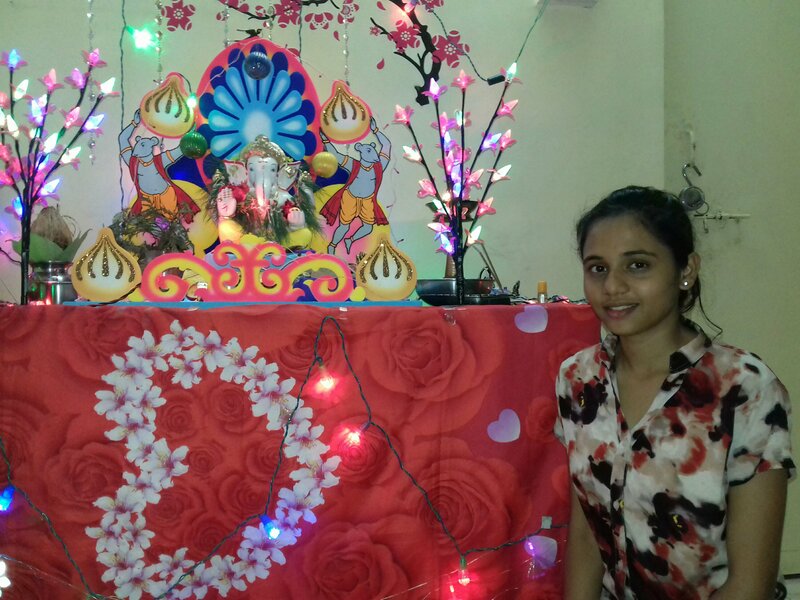 The air is suffused in vivacious chants of Ganpati Bappa Morya, Mangal Murti Morya! 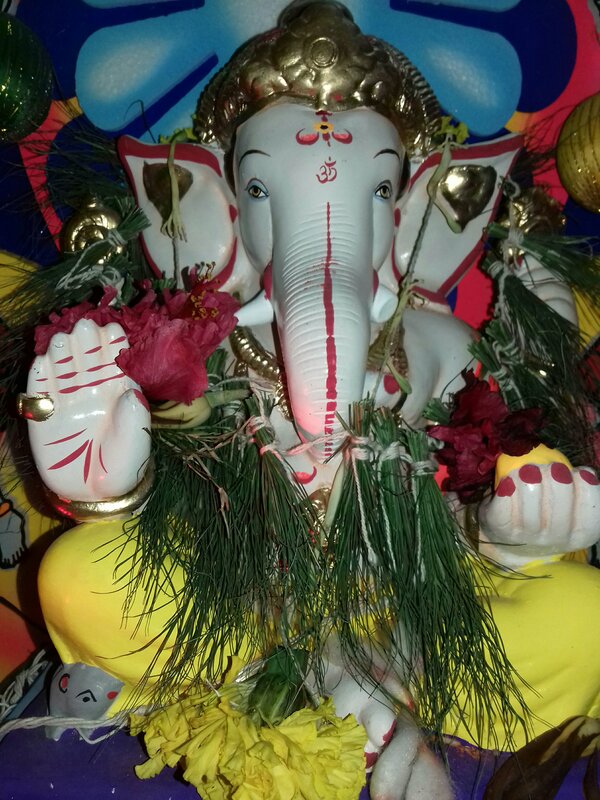 …Bappa Bappa Morya… Mangal Murti Morya! 11 days of festivity has today reached its pinnacle and it’s a big farewell party out there. Today is Anant chaturdashi or Ganpati Visarjan, the final day of Lord Ganesha’s journey on earth. Today, lacs of Ganesha idols will be immersed in lakes, ponds and rivers all over the city. Making His way along with me is Ganesha, The Divine traveler, our friend who has today reached the final leg of His journey, better known as the Ganesh Visarjan. 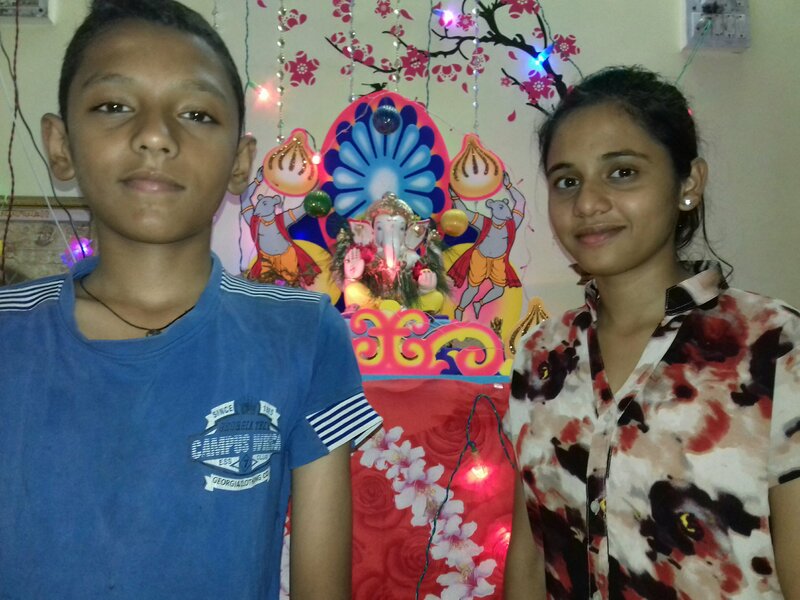 The diya (lamp) is lit and Ganesh Stuti or Arti (prayer) is performed with a lot of gusto and enthusiasm for one last time. His face gets a divine radiance with the flame of the diya glowing clear and bright. Coconuts are broken and He is played Holi with! The atmosphere is charged with devotion. Wishes are whispered and His blessings are asked for. All religious paraphernalia are removed, one by one. These final moments of visarjan are quite heart warming not only for those who have hosted Him in their house for the past few days but also for people like me who have just been a part of the festival from the sidelines. Memories last forever, never do they die. Friends stay together, never say goodbye.